Pink Floyd classic The Dark Side Of The Moon has been named the best prog album of all time by Rolling Stone magazine. The 1973 epic – which has sold over 50 million copies worldwide and topped many previous lists – leads a top 10 that also includes King Crimson, Rush, Yes, Genesis and Jethro Tull. Eight of the chart-toppers were released during the first half of the 1970s, with only Crimson’s In The Court Of The Crimson King and Rush’s Moving Pictures coming from other decades. And only eight later-generation prog acts make the magazine’s top 50 – The Mars Volta at number 25, Opeth at 28, Dream Theater at 29, Tool at 33, Porcupine Tree at 39, Meshuggah at 42, Marillion at 47 and Ruins at 49. 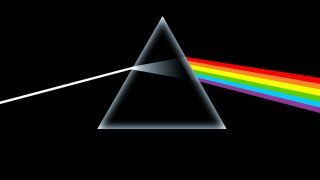 Rolling Stone say of Dark Side: “Easily the peak of prog rock’s commercial success, Pink Floyd’s lean concept album has soundtracked countless planetarium light shows and just as many critical unpackings. The publication this week featured Rush on its cover for the first time ever. Last year Prog listed our readers’ 100 greatest prog albums of all time, available below.